So you’ve just bought yourself a shiny new Android phone, and you’re setting it up ready to use in your day-to-day life. But there’s one important thing you should be thinking of at this point, ‘what apps should I download?’ There are an awful lot of apps available, and barring the usual services, like Facebook or Twitter, that you want access to on the go, what should you choose? 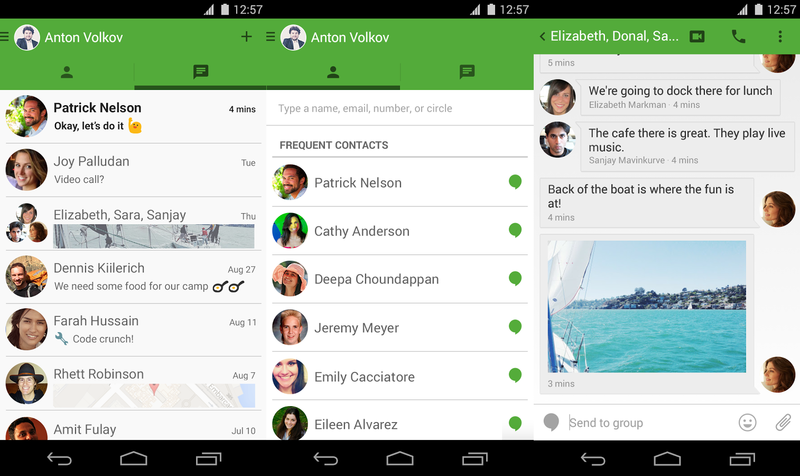 To help, here are seven important Android apps to help you get started. One of the best things about owning a smartphone is that you have a device in your hands that can be used to look up any questions you might have, and can record any of the random thoughts that pop into your head at any given time. For the latter you’re going to need something that probably isn’t included in your device: a note taking app. 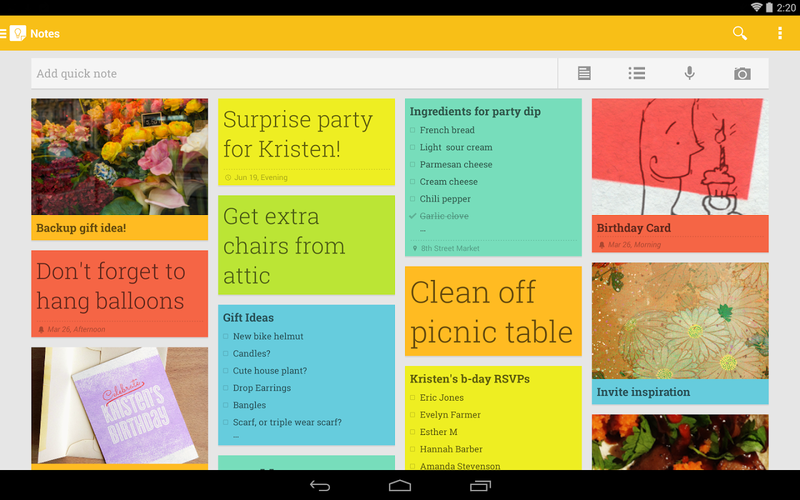 Google’s Keep is probably one of the most useful around. Not only does Keep allow you to make notes using text or voice input, it also syncs with your Google account and allows you to access your notes from a variety of different devices. Since you’ll have a Google account to download apps anyway, it means that you don’t have to register for another service like you would if you were using Evernote. Plus, you can even colour code your notes to keep them nice and organised. Google’s equivalent to iMessage, Hangouts is a tool that lets you send text messaged and make calls using the internet, rather than having to use the precious minutes and texts that your network has provided you with. *provided they don’t use a BlackBerry or a Windows Phone. One of the main problems with Android is that malware is a very serious threat and as such you have to take precautions against it. avast! 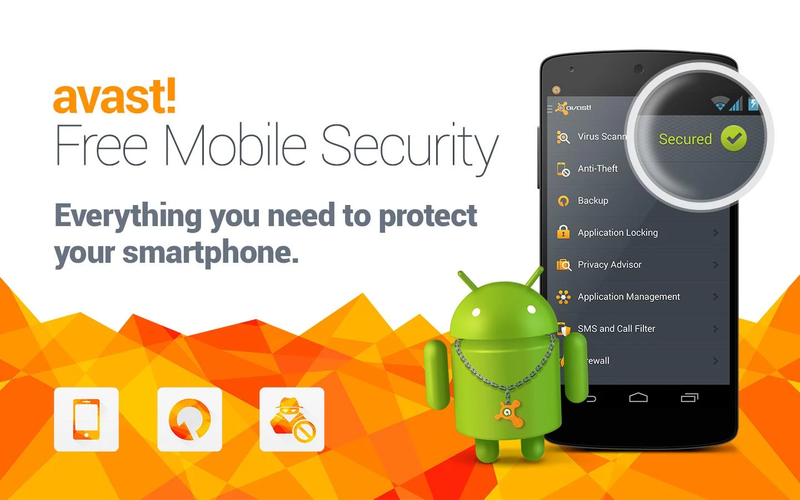 is a mobile version of the popular anti-virus software that comes with a host of useful features for securing your phone. Not only is avast! capable of scanning your phone for any malicious software, it’s also able to automatically scan all the apps you download to make sure they are safe to use. Not only that, but it can also provide PIN protection for apps that you want to be extra secure, as well as including anti-theft settings, a firewall, data back-ups, and filters for both SMS and calls so you can avoid people more easily. avast! really is a great way to keep your phone’s security locked down tightly. There are an awful lot of cloud storage/back-up services available, and it may be difficult picking one that’s right for you. Google Drive doesn’t offer much that other storage services don’t have (except for maybe Google Docs), but it is nice and simple because it means you don’t have to sign up for a new service — it all comes bundled with your Google account. 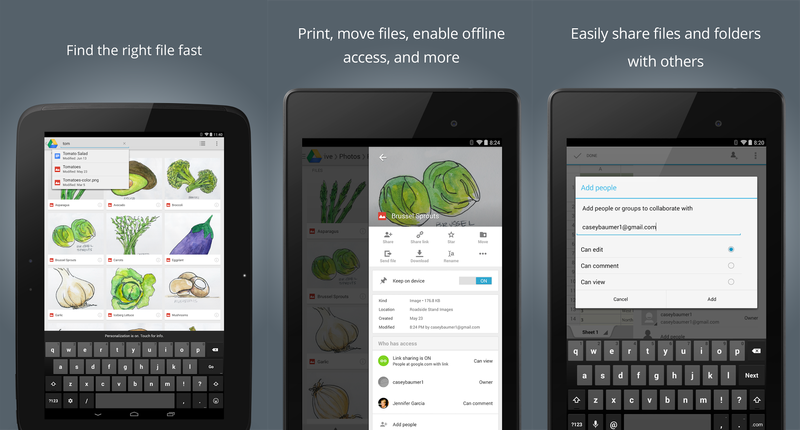 From the app you can access your stored files, as well as being able to upload files from your phone for safe keeping. Any changes you make to your stored files will automatically be available across your devices, plus you get 15GB of free storage, and everything is encrypted for extra protection. Battery is the most important part of your phone, and keeping track of it is something that you might have a vested interest in. 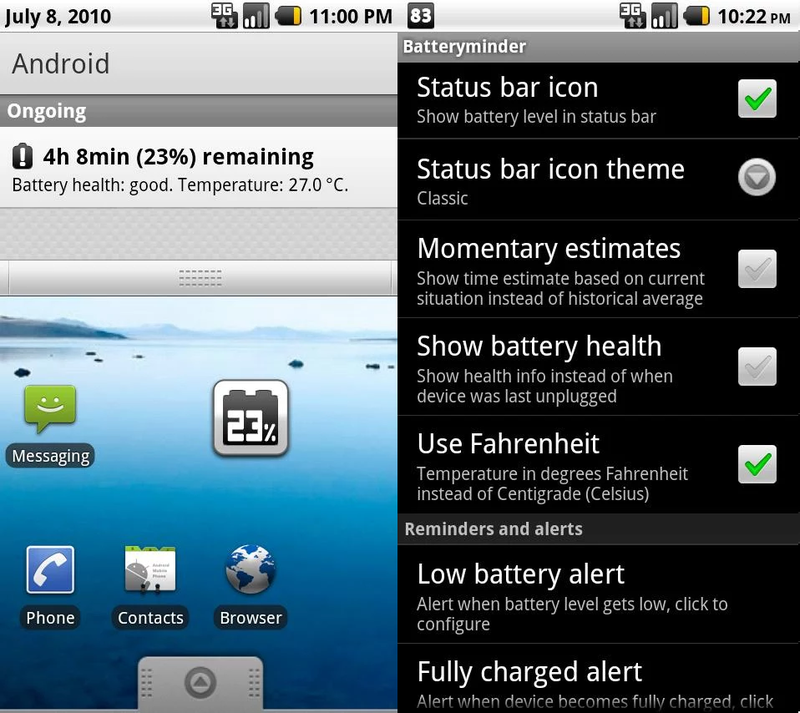 Batteryminder not only puts a notification in your phones status bar informing you of your current power levels, it can also be used to estimate how much time your battery will last, how long it’ll take to charge, and how healthy the battery actually is. Never forget, a healthy battery is a happy battery. Having a pocket-sized device that’s so connected is great, but it’s no good if you’re looking at something on one device and need to switch over quickly. 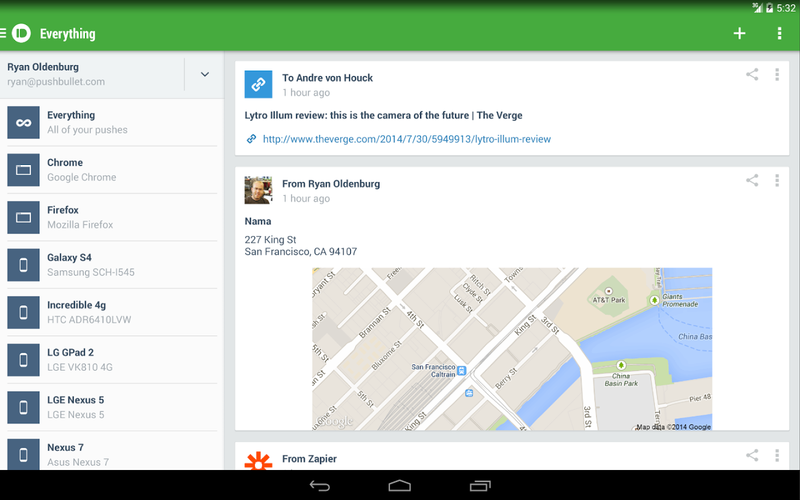 Luckily Pushbullet lets you send notes, links, and various other things between your devices at the push of a button. Whether you’re sending from your phone to your computer, or from your computer to your tablet, it’s all interconnected and means that you don’t have to go to extreme lengths to ensure you have exactly what you need on your devices. A recent update has also added an interesting extra feature: the ability to view and respond to your text messages from your computer. No need to get your phone out and see what’s going on. 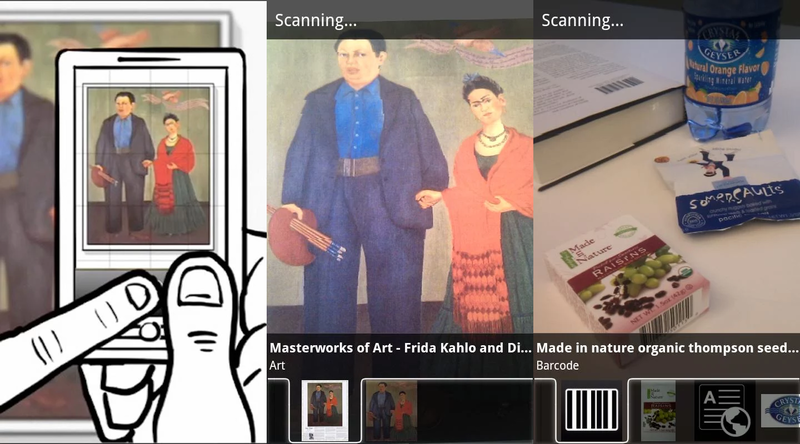 Google Goggles is an interesting way to search for things that focuses on searching with images rather than using search terms. See something on the street and you don’t know what it is? Snap a picture with Goggles and it’ll run a search and let you know. Want to cheat on the picture round at the pub quiz? Snap a picture with Goggles, and it’ll try and figure it out. Then you can feel ashamed for being such a filthy cheater. But that’s not all, Goggles also functions as a QR reader, and can be used as a barcode scanner to compare prices via Google Shopping. Essentially, anything that involves the internet and your phone’s camera can be done with this handy piece of software.